Yes, it is huge and heavy, in the neighborhood of 100 lbs. You will not pass anyone going uphill on this bike. 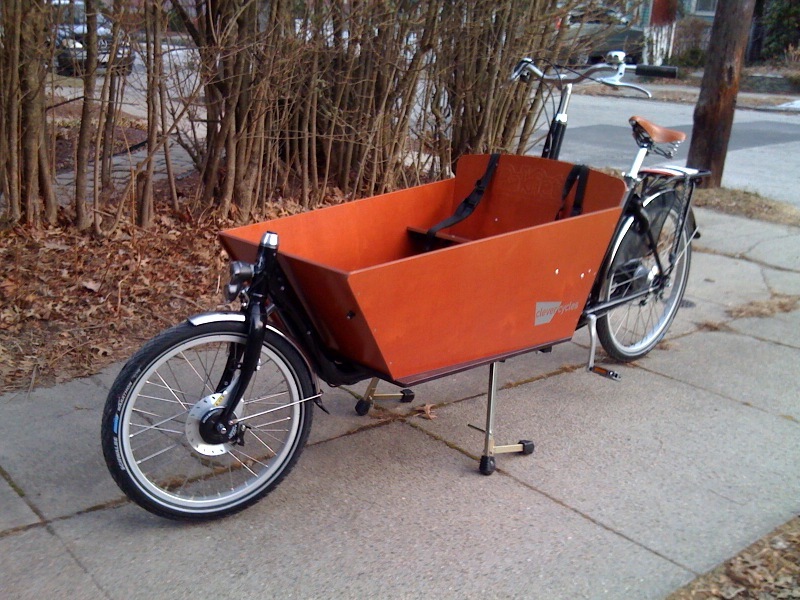 It has a capacity of more than twice that, in the box and on the rack, which is strong enough to hold someone riding sidesaddle. 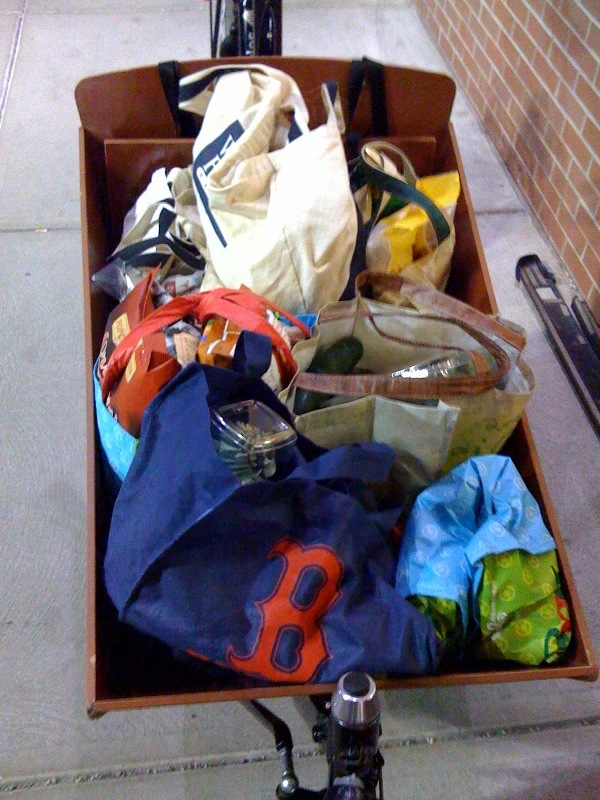 I took it to the grocery store tonight and did a week’s worth of shopping. I made it back up the 6% hill to our house, but the head lamp was flickering at times because I was moving so slowly. It took a lot of effort, but the bike never strained. It is surprisingly balanced, loaded or not. I had initially thought I would want to lower the gearing with a larger cog in the back, like I did with my 3-speed for the hills around here, but no higher cadence was going to move things any faster. It is an exercise in patience, riding a load up a hill, and that is the trade you make for a bike that can do it. Didn’t get the kids in it right away because I wanted to get accustomed to things first and it was already late in the day. Tomorrow we’re getting a thousand pounds of snow and this weekend we’re out of town, so they’ll have to wait until next Friday.